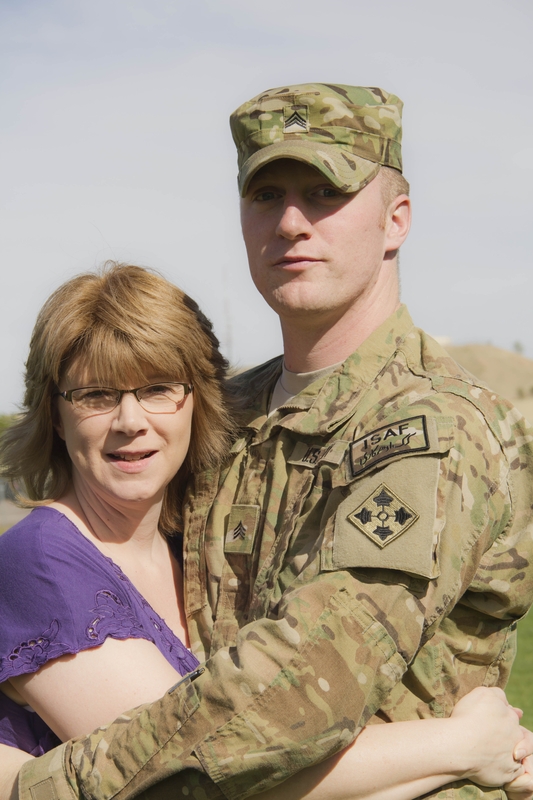 Army Mom Tracie Ciambotti and her son, Josh. I awoke this morning thinking about how different this Memorial Day is from 2011’s. I recall—all too well—the dread that plagued me this holiday weekend last year as my son was preparing to deploy to Afghanistan in early June. Those last couple weeks prior to his departures are always difficult with the constant anticipation of having to say good-bye looming. 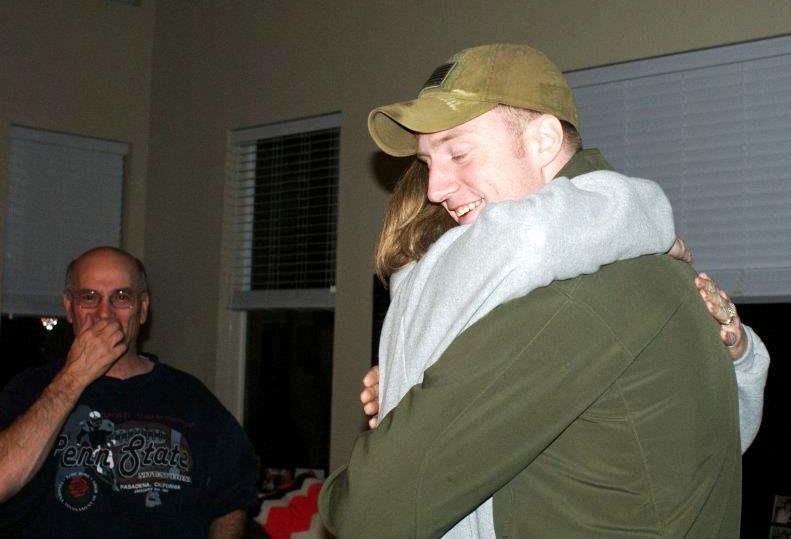 This year I am so thankful to have him home on American soil and relieved that my daily battle with the worry and fear that accompany his deployments has ended too. Many of our nation’s sons, daughters, husbands, wives, mothers, fathers, sisters, and brothers have come home from war over the past year. Sadly, some will forever be remembered as fallen heroes; others are now wounded warriors fighting to recover from severe injuries or missing limbs; many are struggling silently to reintegrate into non-war life and regain some sense of normalcy—if there is such a thing. Thousands of service members are currently deployed in war zones; others have just begun their tours of duty; some are now preparing for an upcoming deployment. Tracie Ciambotti is co-founder of the Military Families Ministry. Paula Parker, staff assistant in the Penn State Justice and Safety Institute, is the 2012 recipient of the Barash Award for Human Service. Created in 1975 by the family of the late Sy Barash, the award honors a full-time member of the faculty or staff or student body on the University Park campus who, apart from his or her regular duties, has contributed the most to human causes, public service activities and organizations, or the welfare of fellow humans. Parker is being recognized for her work as co-founder and director of the Military Families Ministry, (MFM) which provides support to members of the U.S. armed forces and their families. In 2009, when her oldest daughter deployed to Iraq with the Marine Corps, Parker and local Army mom Tracie Ciambotti launched the Military Families Ministry at the State College Alliance Church. Six months later, Ciambotti moved to Colorado, where she started a similar group, and Parker took on sole leadership in State College. 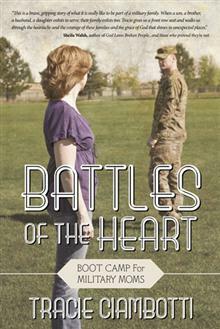 The book cover of Tracie Ciambotti's book, Battles of the Heart. Emotional disorganization, or stage 3 of the emotional cycle of deployment, occurs during the first six weeks of deployment. My experience with this cycle, as the mother of a soldier, is different from that of a spouse; my husband is still here, my daily routine doesn’t change, and I don’t take on new responsibilities as a single parent and head of the household. Although I try to prepare my emotions for my son’s departure, I can’t fully concoct, or practice controlling, the emotions that begin to flow once we have said our good-byes and I watch him walk away. The thoughts and questions that I try to fight off always seem to slip into my mind in the first days and weeks of a deployment: Will I ever see my son again? I already miss him and the sound of his voice. Josh’s last deployment was his third and I’ve learned new lessons with each. He received the best training in the world for his role as a combat soldier; I was not offered any training or preparation for my role as his mother. I learned the hard way that when he goes to war—I face my own war at home. His war is physical, mine is emotional. Unlike my son, trained and confident, I was unaware and unprepared for the emotional battle that takes place in your heart and mind when your child goes to a war zone. 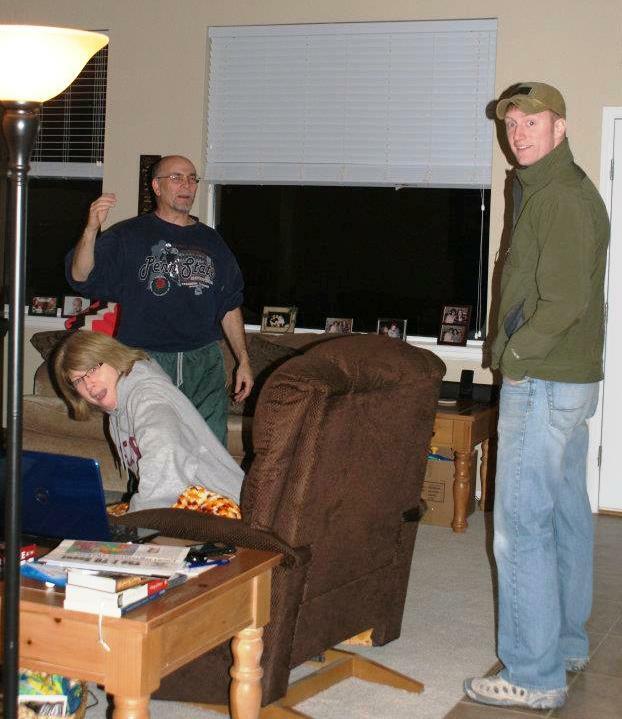 I started journaling the day my son left for his second deployment to Iraq in 2008. 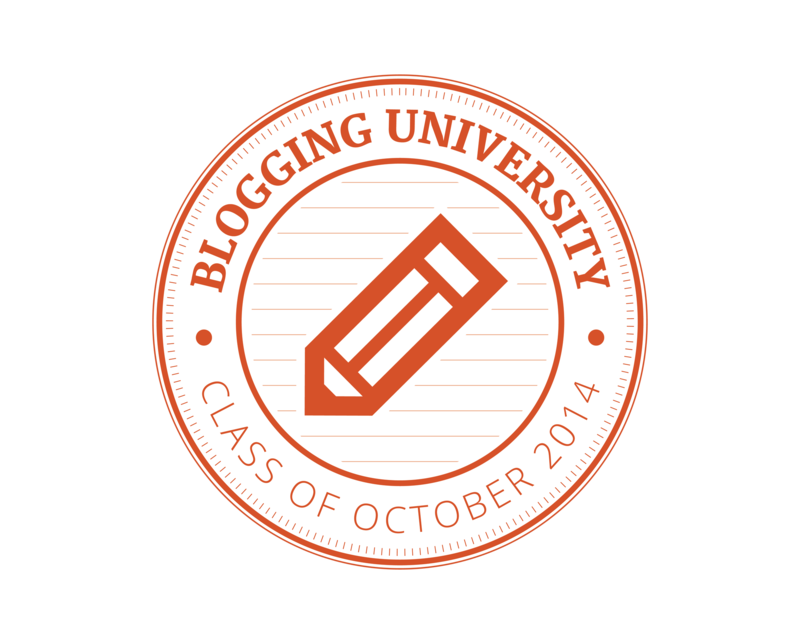 What began as an exercise for my own sanity is now Battles of the Heart: Boot Camp for Military Moms. I realized that I was not the only mother of a service member who was struggling with the emotional trauma of her child’s deployment and I became passionate about helping others. In Battles of the Heart: Boot Camp for Military Moms, I share my personal experiences and challenges with the emotional side of deployment and offer a training guide to help other moms and family members cope with a loved one’s deployment. 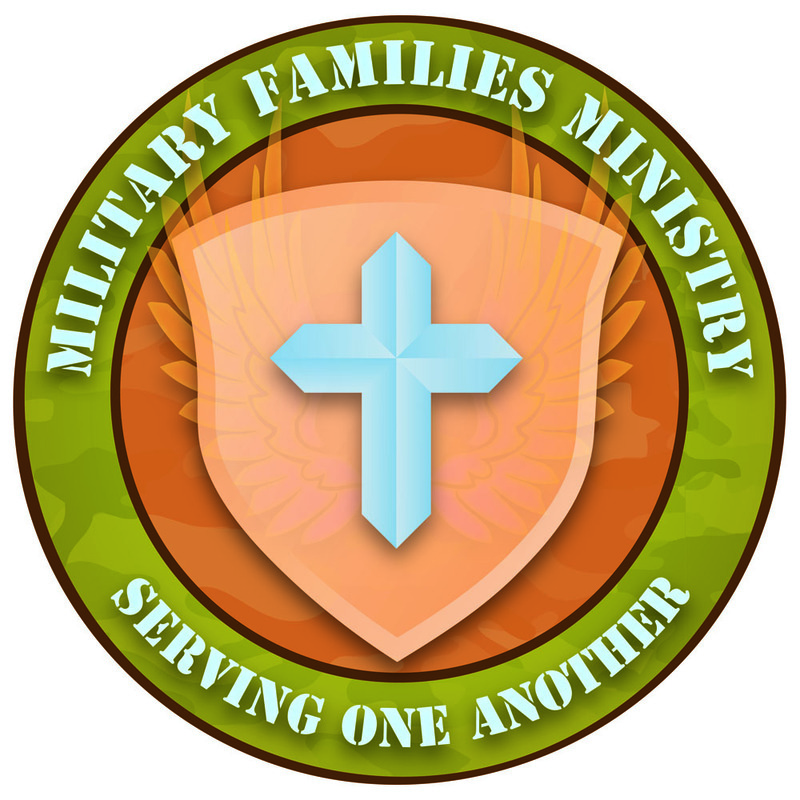 In addition to writing about my experience, I co-founded Military Families Ministry (MFM) with another military mom, Paula Parker. MFM is focused on supporting the entire military family through the establishment of ministry and support groups in churches and communities. We unite military families who support each other while working on service projects to support our deployed troops, wounded warriors, and veterans. Battles of the Heart: Boot Camp for Military Moms is a reminder that our nation’s freedom is not free. Military families pay a very real price for that freedom. I want to create awareness of the sacrifices made by our service members and their entire family. My goal is to inspire individuals, churches, and community groups to support the military families in their midst. Visit Battles of the Heart on Facebook. It is unclear yet if it was a very bad decision or an inadvertent error, as the President stated in his written apology, which resulted in the burning of Korans at the Bagram Air Field in Afghanistan. In either case, it is deeply troubling and quite honestly mind numbing that this could happen. Anyone who knows anything about the Muslim religion understands that the Koran is their most sacred possession; common sense should dictate that when you are occupying a country, you should not burn that country’s holiest of holy books. This situation has undermined the mission of some of our troops who spend a great deal of time visiting with local Afghan village leaders in an effort to build relationships and mutual respect. This incident has already claimed the lives of two American service members, the number of Afghan protestors killed increases daily, and the full consequences are yet to unfold. 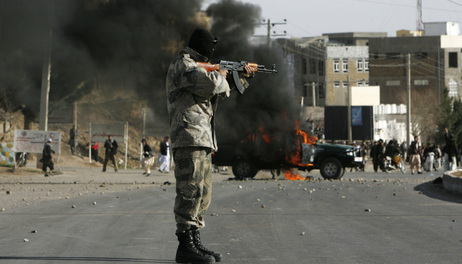 Fox News reported Friday that protests have erupted in provinces across Afghanistan and riots have now spread over the border into Pakistan. Call it a bad decision or an inadvertent error, does it really matter when you see the devastation this situation has caused? The Army Wives at dinner. 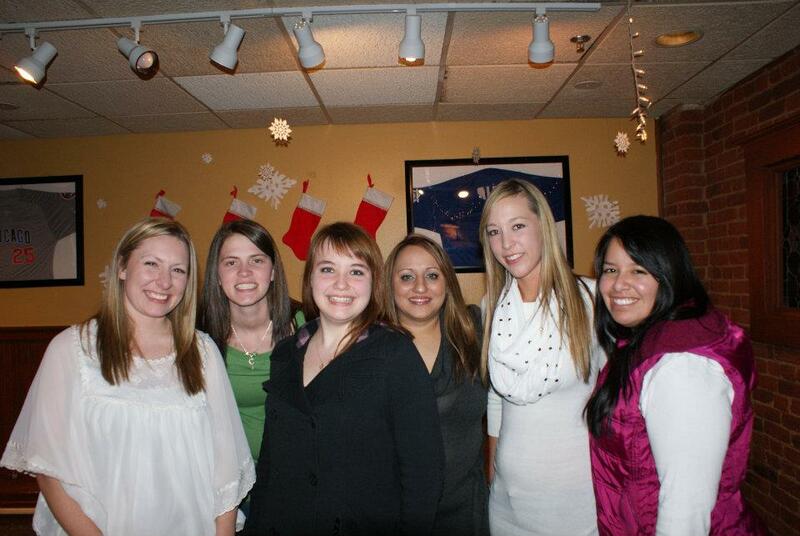 In mid-December, I spent a week with my daughter-in-law, Alison, and some of her friends who are also Army wives. A surprise announcement came that our deployment, which was to continue until June of 2012, was ending early for one company and approximately 500 soldiers were scheduled to return to Fort Carson in time for Christmas. These particular wives had all left Colorado Springs when their husbands deployed in June of 2011 to spend the deployment with their families. It was up to them to find a place to live and get everything ready for their soldier’s return. They searched online for apartments or townhouses to rent, arranged for moving trucks and helpers, coordinated their moving dates, signed leases, and made arrangements for utilities. 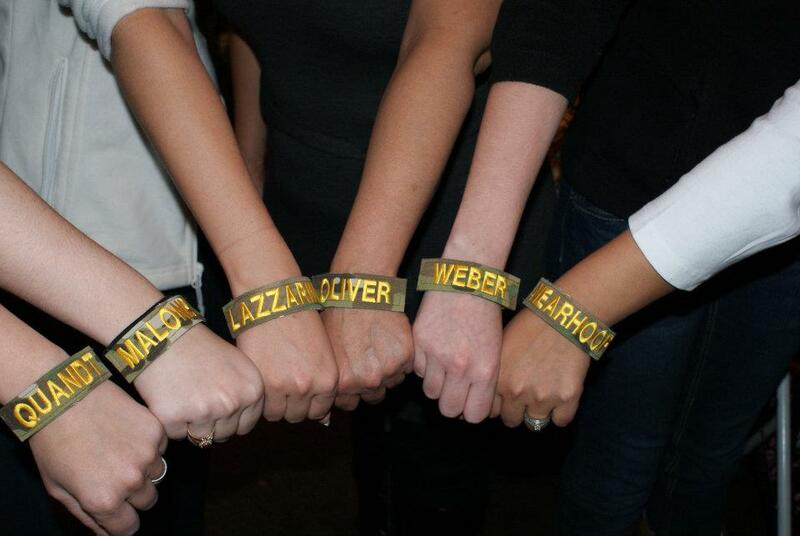 The bracelets made by an Army wife for the others wives with husbands in the same platoon. If you have ever moved across country, think for a moment about all that is involved with this transition. These Army wives do it all—alone. Once everything was in place, they began their journeys back to Colorado, some with small children and one with a new baby. This experience was remarkable to me in that it was much more than renting an apartment and moving furniture. It was not about getting a house, but rather, making a home for their husbands. 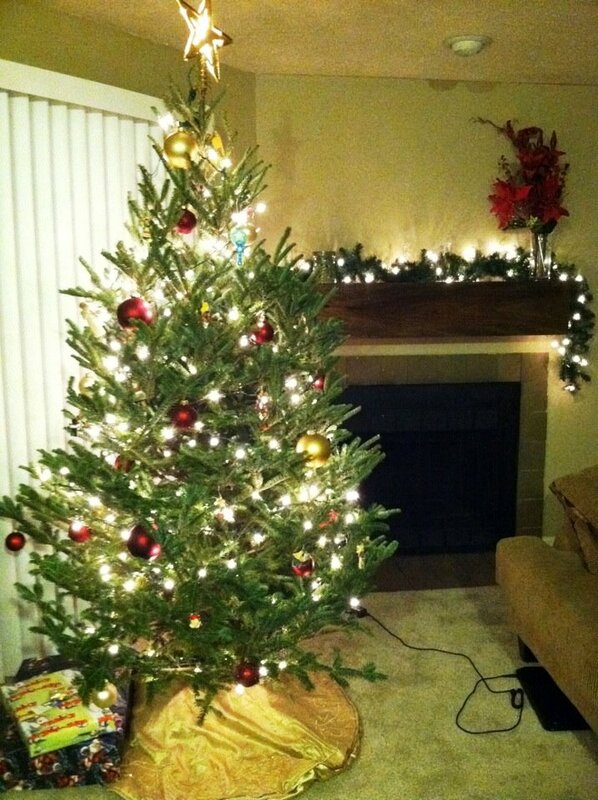 They went together and purchased live Christmas trees and then each went to the others’ homes to help get the trees up and decorated. I was amazed at how they just get it done. Things that I would put on my “honey-do-list” and hand off to my husband, they just did because there were no husbands there to hand things off to. 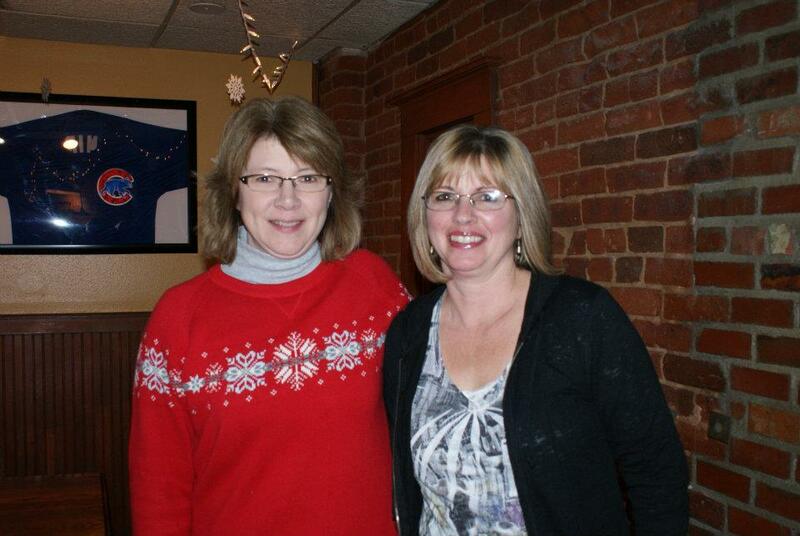 Tracie (left) bonding with another Army Mom at the dinner. The experienced wives, seasoned from prior deployments, helped the first-timers. They laughed together and talked, with anticipation, about their husbands coming home. They arranged a dinner for the platoon’s wives to reconnect with one another. One of the wives made bracelets for the others with their last name—the name their men answer to in the Army. I attended this dinner with Alison and had the pleasure of meeting a fellow Army mom whose son is in my son’s platoon. There is a special bond between soldiers created by the harsh realities of their service; a bond which is incomprehensible to the civilian world. Like their men—Army wives have a bond all their own.